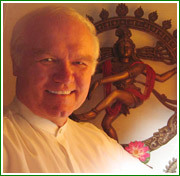 After continuous service in Vedic astrology since 1983, I have elected to take a sabbatical to work on a new book, rest in meditation and do some original research on unexplored areas of Vedic astrology. As such, I have chosen Charlotte Benson and Bill Sinclair to cover my consultations during this period. These are great astrologers and I am sure you will enjoy your interactions with them. This web site was designed for and is best viewed in Internet Explorer.